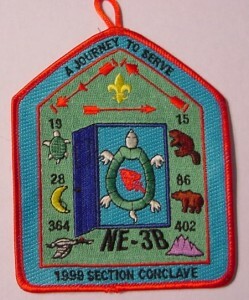 George Jennings provides images for two issues from the 1999 Section NE-3B Conclave. The first is a pocket patch with loop. 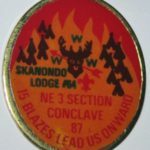 The second issue is the conclave pocket patch (without the loop?) 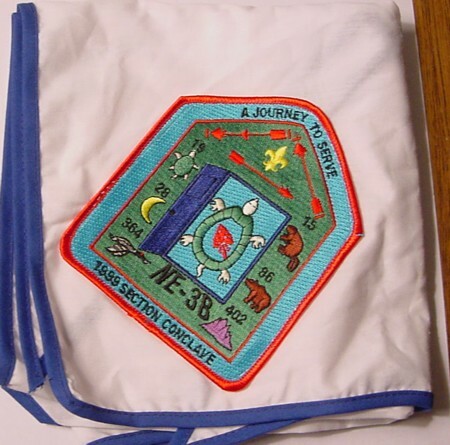 sewn on a white neckerchief with blue piping. There was also an embroidered neckerchief, red with yellow piping. I’ll send you a scan of it. 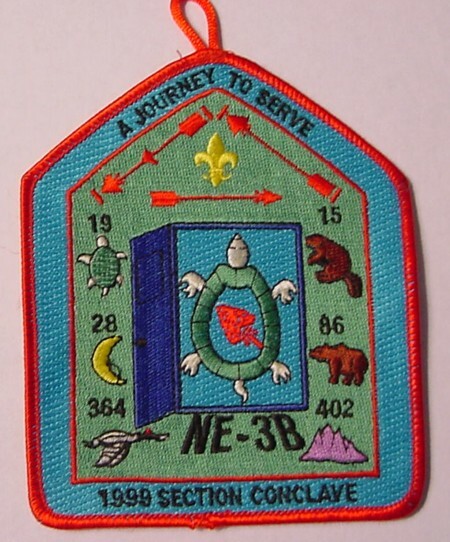 I believe this is an undated neckerchief issued for the 1998 NE-3B Conclave, with the same design as the dated patch.